« Podcast 101 : Happy New Year 2010 with Chris Bailey from The Saints : Interview part 2 !! That concert at The Paris Theatre was the best gig I ever saw and was the Clowns’ last gig as a ‘big band’ with Bob, Dan, Ben and Peter Doyle on trumpet. 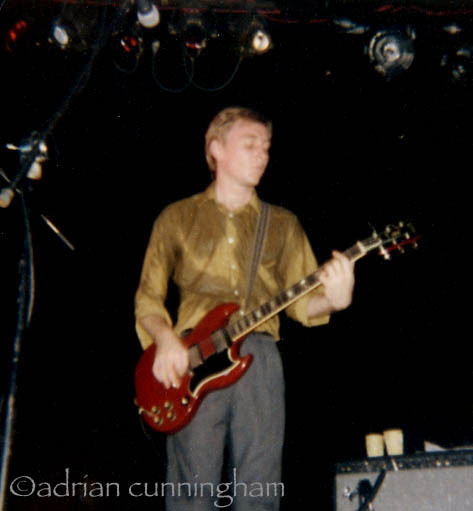 They were playing with the Birthday Party (their first gig back in Sydney after moving to England) and the Go-Betweens (their first gig in Sydney after moving down from Brisbane). 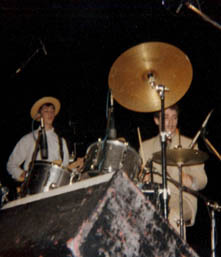 The Go-Betweens were nervous as all get out - I recall Lindy Morrison looking like she wanted to hide behind the curtains at the back of the stage. The Theatre was only half full - unbelievable for such a lineup - I had got there hours early to ensure my ticket and had crept in through the stage door to listen to the soundchecks without anyone noticing. The Birthday Party and the Clowns really respected each other and wanted to impress each other, so both bands soared into the stratoshpere that night… It was something very very special. 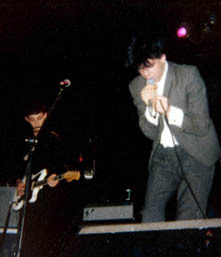 I stood in front of the stage with my instamatic camera and took some photos. Sadly Bob never played with the Clowns again (though Louise proved to be a fine replacement). Ben had problems - I last saw him at Chequers cadging money of near-strangers - and he later committed suicide - extremely sad for a lovely talented guy. 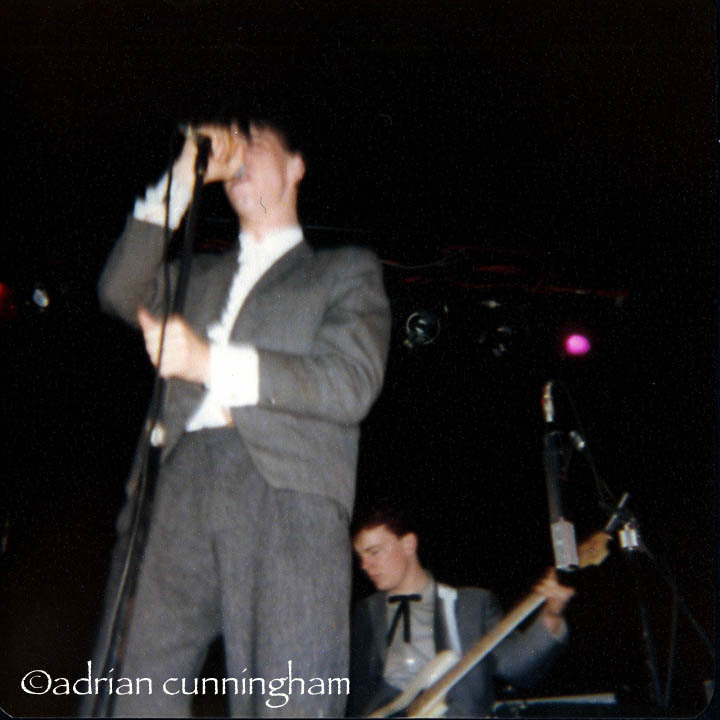 Interestingly, the next time I saw the Birthday Party a couple of months later in early 1981 in Sydney they had gone feral and confrontational! They had rediscovered the Stooges and played “Loose” etc. They seemed to be rejecting their earlier artier, somewhat more restrained incarnation that played at the Paris Theatre. I was a bit surprised by this at the time and I recall after the gig asking them when was the last time they had played “Loose”, as it seemed like a throwback to their early punk years. Their reply was ‘last night’, which I guess put me in my place. But they were very friendly all the same and full of jokes and fun. The next time I saw the Laughing Clowns after the Paris Theatre was in about March 1981 in King Street, Newtown in Sydney. They were back to being a four piece, with Dan Wallace-Crabbe on bass, and no saxophone – only Peter Doyle on trumpet. 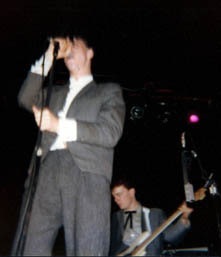 That night they broke open a carton of their 3rd EP (the one with Collapse Board) for sale to the punters – it is now as rare as hen’s teeth because the songs were later collected on the Reign of Terror LP. 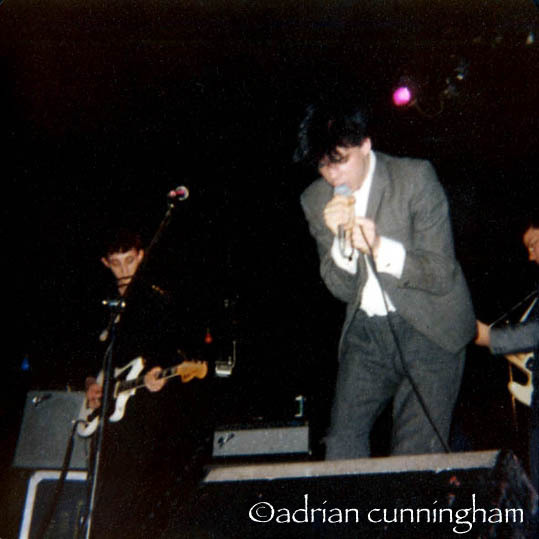 Then a few weeks later I went to see them play at the Trade Union Club and Dan never showed up (don’t know what happened with him – I never saw him again). They ended up taking the stage about 2 hours late as a three-piece and did some improvised jamming. Apparently that night Louise Elliott was in the audience and was blown away by them and asked if they needed a sax player. You can guess the rest. All they needed was a bassist and they found Les Millar. Queue the second great lineup of the Clowns – the one that recorded Uddich Smuddich and Everything that Flies. All up I saw the Clowns at least 15 times over the years. They were so far removed from and ahead of their time that it was ridiculous. I was privileged to be part of it and was privileged once again this year to be at Cockatoo Island in Sydney Harbour to see their first Sydney gig in 25 years (the same day as the Saints’ first Sydney gig in 32 years) - thanks Nick for making that happen. But such bands that we had in Australia in those days! There was also Tactics, X, Thought Criminals, The Poles, Pel Mel, the Moodists, the Triffids, the Scientists, the Reels, Sardine V, Makers of the Dead Travel Fast, the Sunnyboys, Machinations – the list goes on. In Sydney you could go and see great bands 4-5 times a week every week all for just a few dollars. But the Clowns were my favourites – and before them the Saints, so Ed is number one living national treasure, closely followed by Nick Cave as number two. It was such a small friendly scene in those days that you saw the same faces at most gigs and there was a real community feel – a feeling of being part of something exclusive and precious and never to be repeated. If you met someone at a Clowns gig you knew that they would be someone interesting – someone worth getting to know. Number one deceased national treasure was Dave McComb of the Triffids – now the Triffids were a whole different story – utter genius. “I first saw the Clowns at the Civic Hotel in Sydney in 1979. They they were just a four piece with Bob Farrell on sax and Ben Wallace-Crabbe on bass. 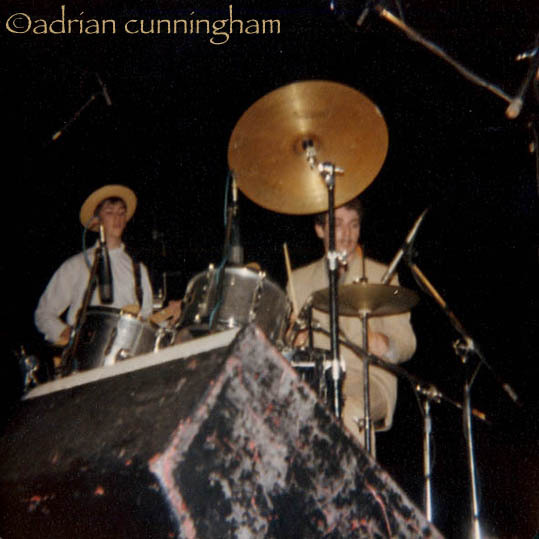 Jeff used to wear a white lab coat (the Professor) and having the drums at the front of the stage was a great idea, as Jeff was such a powerful and imaginative drummer. Bob Farrell’s contribution is usually overlooked - but he was utterly brilliant. He inspired me to take up the saxophone myself. 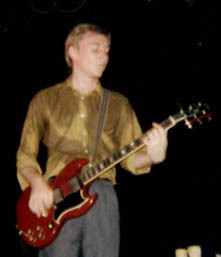 Later Ben’s cousin Dan Wallace-Crabbe joined on keyboards and it was that lineup that recorded the landmark first mini-LP. To my mind the greatest Australian recording ever. In 1980 I interviewed Jeff and Ben in their squat in Kings Cross, Sydney for the fanzine Roadrunner. I recall arriving on their doorstep and not being able to get anyone to hear that I was knocking on the door because Jeff was practicing drumming and that was all you could hear. Eventually they heard me pounding on the door and the interview was a gracious and interesting one. Probably the only Clowns interview without Ed (Ben walked to Ed’s house and asked if he wanted to participate, but apparently Ed had better things to do - so it was just the rhythm section). This entry was posted on Lundi, janvier 18th, 2010 at 09:52:31	and is filed under Australia, Ed Kuepper, Laughing Clowns, Nick Cave and the Bad Seeds, bands promotion. You can follow any responses to this entry through the RSS 2.0 feed. You can leave a response, or trackback from your own site.